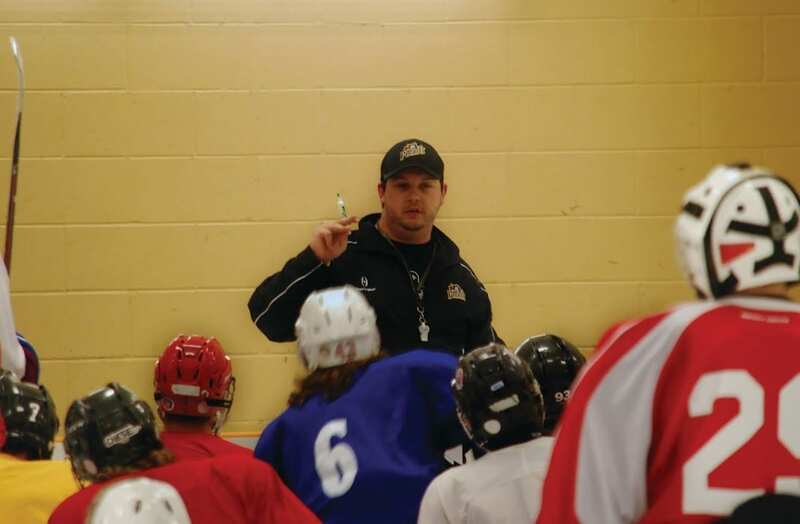 The Pelham Pirates wasted no time getting on the ice after signing a seven-year lease with the town. Hopeful young hockey players took to the ice at Ridley College for the second conditioning camp, where coaches and management get a look at fresh bodies, and also some returning veterans. After a disappointing 2013-14 season – finishing with a record of 9-37-3 – Pirates are looking for a bit of a change. Owner and general manager Tim Toffolo says despite the previous years result, they aren’t calling the upcoming season a rebuild. That roster will include some familiar names and some new ones. Pirates announced late Sunday that they’d signed Pelham native Thomas Young, who played with the Southern Tier Admirals last year, to a contract for the upcoming season. Other local players who played in Port Colborne last year remain undecided about their future with the team. Forward Spencer Fox finished fourth in points for the Sailors last season, while Kitchener Rangers prospect, Ty Learn, joined the team at the trade deadline. Toffolo remains hopeful that both will return, especially now that the team has moved in their backyard. Even with the newest additions, nothing will be given to the Pirates in their new home. With the St. Catharines Falcons and Caledonia Cornivairs still in the league, reaching the top will be a challenge. Between the two, they’ve recorded an 88-8-2 record, with the Corvairs going on to win the Sutherland Cup. Toffolo, however, likes his teams chances.